Some times it’s fun to change up a old standby. 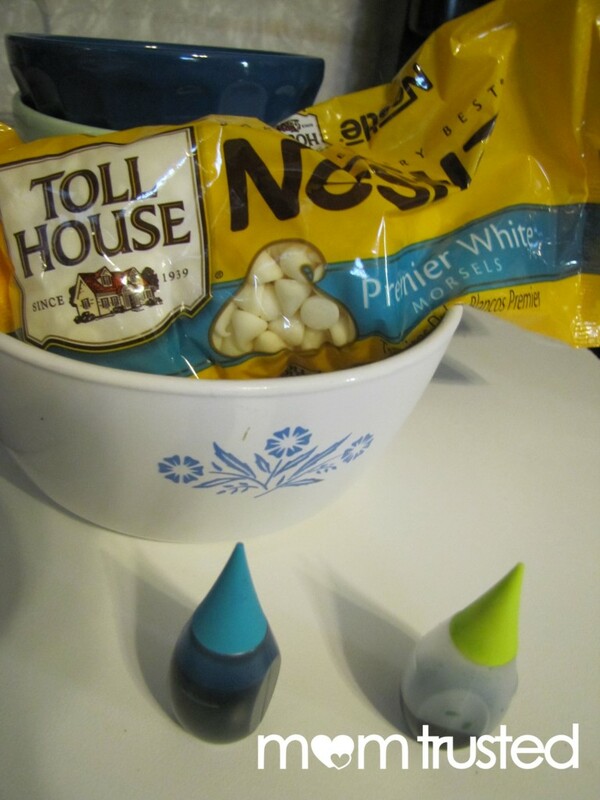 Dress up a favorite snack to fit any color scheme you can think up! 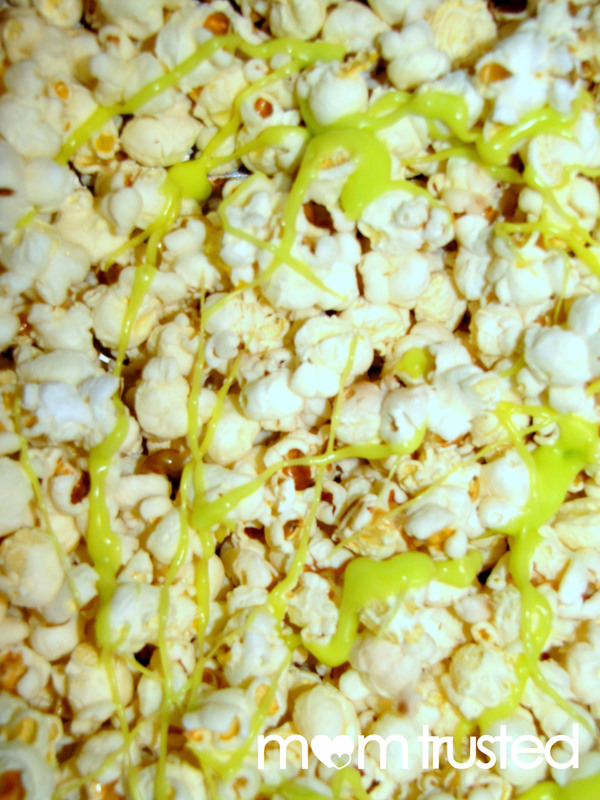 For this special treat, we started with popcorn. You could air pop it (probably your healthiest bet) or make it on the stove, but I’d stay away from microwave popcorn, which tends to have seasoning and flavoring and weird filmy residues My favorite way to make popcorn is on the stove, in a big pot, with coconut oil. 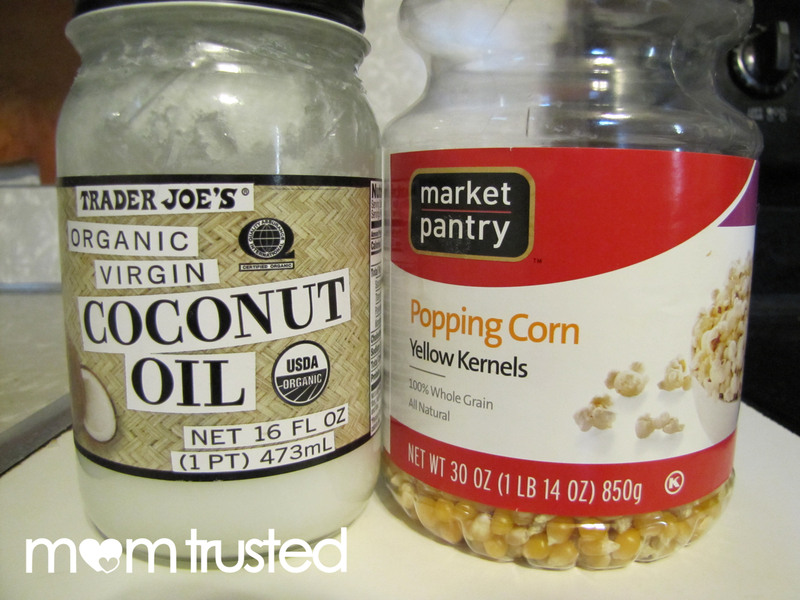 Use a few tablespoons of coconut oil, and get it hot in the bottom of a flat bottomed pot. Add a few kernels. 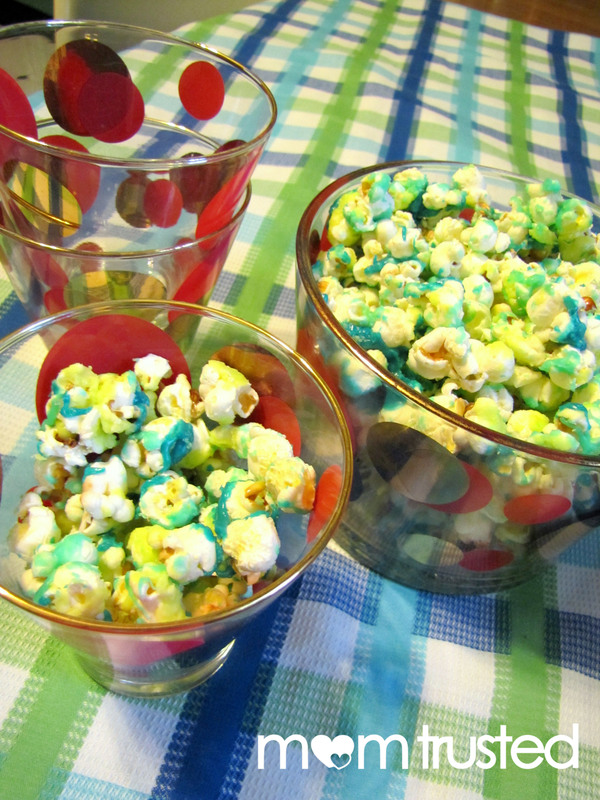 When they pop, add about a quarter cup of kernels, and move the pot over the heat, so they don’t burn. When you hear them stop popping, remove from heat and move onto part two. Repeat with another color (or two!). The color combinations are endless! 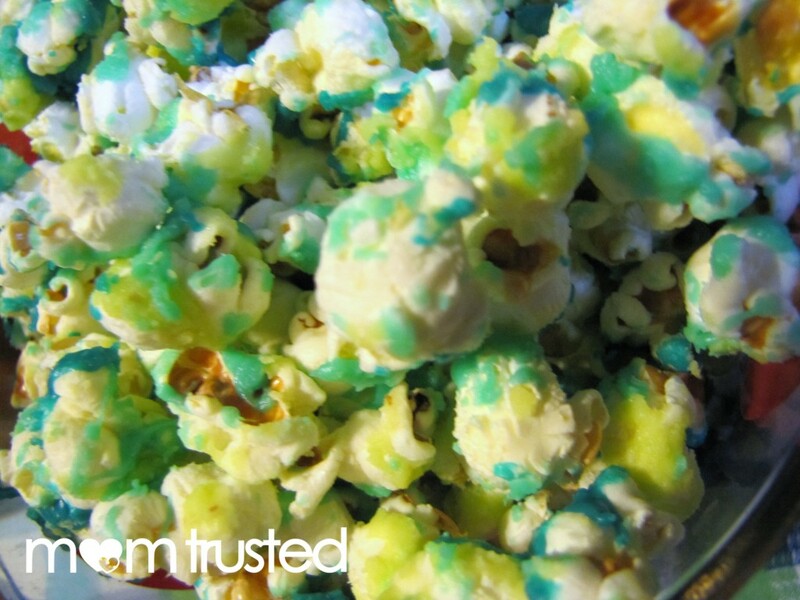 Make this popcorn to share at a birthday party, holiday party, sports game (team colors! ), or just for fun! 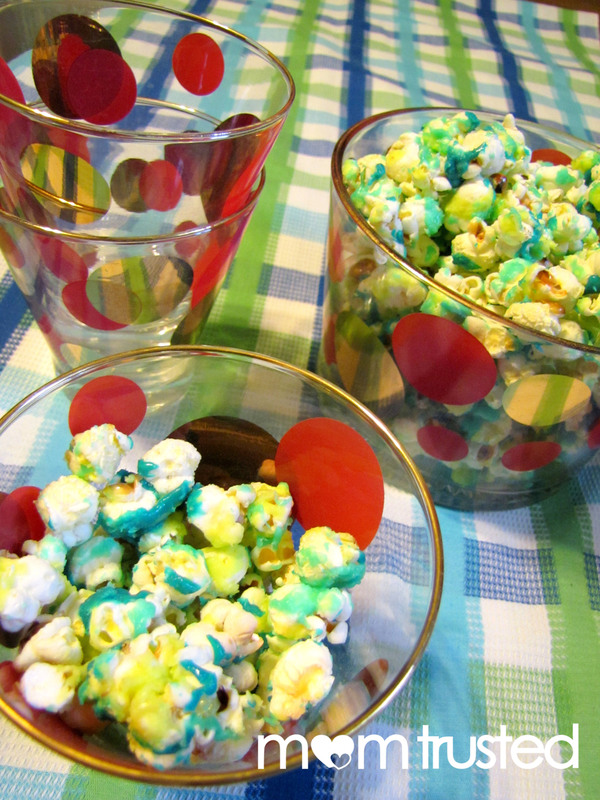 I’m looking forward to making pink and red party popcorn for Valentines Day, but for now, this turquoise/blue/green combo was pretty fun!